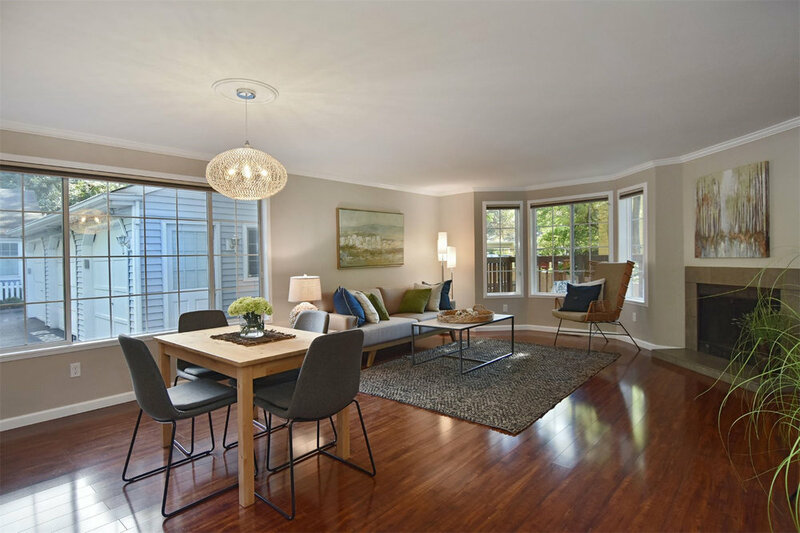 Currently Pending | Charming Kirkland 3 bedroom, 2 bath end unit townhome remodeled and turnkey. All new kitchen and bathroom cabinets, Carrera granite counters and beautiful wood laminate and tile flooring. New paint and roof, light fixtures, washer/dryer and stainless kitchen appliances. Bay windows and fully fenced backyard with deck add to the charm. Single car detached garage and off street parking. 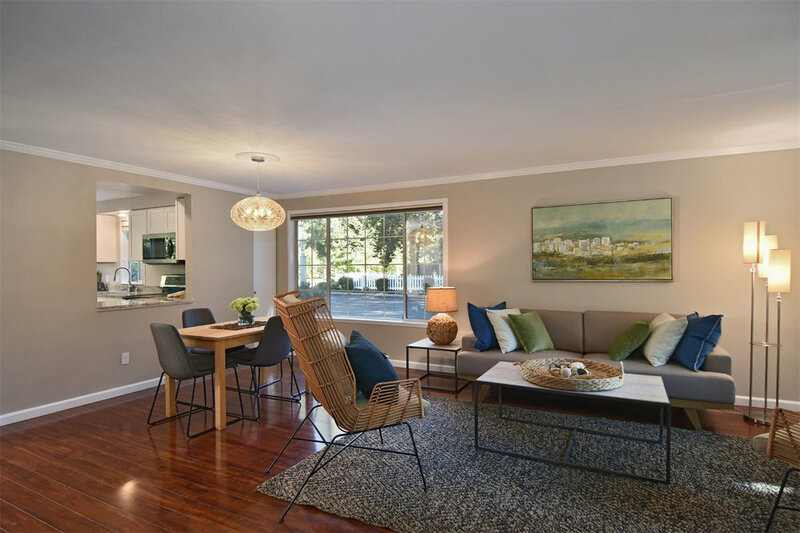 Great community, LOW $100 HOA fees, easy walk to Juanita Village, restaurants, coffee, beach park and easy access to 1-405.